Hillary Clinton: Op-ed: Sponsored flag-burning bill for centrist credential. Mike Bloomberg: Lock them up and throw away key, but no death penalty. Bill Weld: 1996 River Protection Act: 9,000 miles of land use rules. Anthony Kennedy: Using foreign law is inevitable with an interconnected world. Antonin Scalia: Foreign laws ought to be rejected out of hand. Stephen Breyer: Supreme Court can learn from foreign laws. Pete Buttigieg: Get rid of the Electoral College. Hillary Clinton: Hillary�s paradox: she�s not as liberal as people think. Howard Dean: DNC pursuing a 50-state strategy to take back the House. Paul Ryan: Within government limits are things like infrastructure. James Mattis: Keep U.S. troops in Syria indefinitely to defeat ISIS. Wesley Clark: Bush used 9/11 as a pretext to implement Iraq invasion plan. Wesley Clark: Supported Iraq war while we were at war. 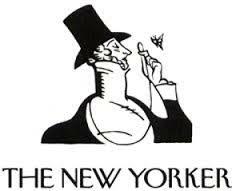 The above quotations are from Columns and news articles in The New Yorker.